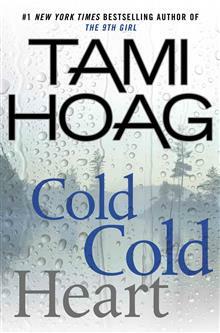 #1 New York Times bestselling author Tami Hoag delivers a shocking stand-alone thriller Dana Nolan was a promising young TV reporter until she was kidnapped by a notorious serial killer. A year has passed since she defeated her attacker, but Dana is still physically, emotionally,... read full description below. #1 New York Times bestselling author Tami Hoag delivers a shocking stand-alone thriller Dana Nolan was a promising young TV reporter until she was kidnapped by a notorious serial killer. A year has passed since she defeated her attacker, but Dana is still physically, emotionally, and psychologically scarred by her ordeal, with aftereffects including PTSD and memory loss. In an attempt to put herself back together after surviving the unthinkable, Dana returns to her hometown. But it doesn't provide the comfort she expects: She struggles to recognize family and childhood friends and begins experiencing dark flashbacks--but she's not sure if they're truly memories or side effects of her brain injury. Dana decides to use her investigative skills to piece together her past and learns of the event that made her become a reporter in the first place: the disappearance of her best friend, Casey Grant, the summer after high school graduation. Looking at her past and the unsolved mystery through the dark filter of PTSD, old friends seem to be suspects, authority figures part of a cover-up. Dana begins to question everything she knows. What is real? What is imagined? Are we defined by what happens to us? And is the truth really something too terrible to be believed? TAMI HOAG is the #1 international bestselling author of more than thirty books, with more than forty million copies of her books in print in more than thirty languages. She lives in Florida.